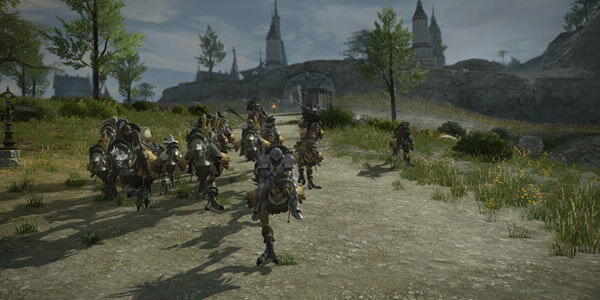 Final Fantasy XIV Patch 4.1, The Legend Returns marks the latest Final Fantasy XIV content that references or builds upon existing Final Fantasy lore. According to Square Enix, we know to this patch adds new story, the Shinryu Extreme fight and new 24-man Ivalice Alliance raid. The Legend Returns is scheduled to launch on October 10, 2017. Definitely recommend U4NBA to anyone looking to purchase Final Fantasy XIV Gil. In addition, Patch 4.1 will also add new main scenario quests that continue the game's story following the conclusion of Stormblood, introduce new Ultimate trials and a new PvP mode titled Rival Wings. Players will now also be able to purchase housing in the Japan-inspired Shirogane region. An Ultimate Savage difficulty is being added shortly after the launch of patch 4.1, which will showcase a brand new tough-as-nails encounter, but it's just that sole fight, and it only provides weapons on the same item level as Neo itself. In other words, you'll have to wait until 4.2 until the next raid tier, as is customary. Based on the release trailer, we will see some screenshots, FFXIV4Gil showcasing some of the features included in the patch, see more at here. The first major update to the game since the release of Stormblood, Patch 4.1 will introduce the Return to Ivalice 24-man raid to the MMORPG. Please go to website to know more the latest news and guides.